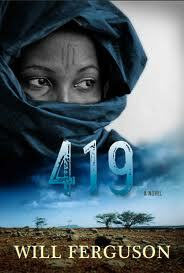 The Monday Evening Book Club will meet September 9th at 7 pm in the Training Room to discuss Will Ferguson‘s novel “419“, the 2012 winner of the Scotiabank Giller Prize for fiction. The Seniors Book Club will meet June 12th at 2:00 pm in the Training Room to discuss the classic novel The Painted Veil by W. Somerset Maugham. The Monday Evening Book Club will meet on June 10th at 7 pm in the Training Room to discuss The Light Between Oceans by M.L. Stedman.